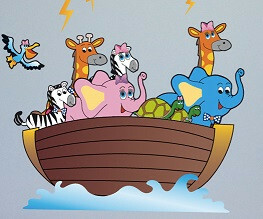 Is your child in love with the biblical story 'The Ark of Noah'? Or just crazy about animals? Then this collection will be a great addition to the nursery!